Obtaining a job: For some the process is much simpler but because I have really ‘good’ Irish luck I had a hard time. I am from Oregon, USA so this information should be pretty general until you get into the legal stuff- that tends to be more specific. STEP 1: Finding a recruiter- What the hell is a recruiter? Great question. 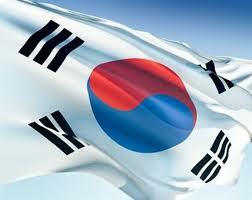 A recruiter is someone who is the liaison between the EPIK people and Korean Government and yourself. They are supposed to help you through this sometimes confusing process and notify you about upcoming deadlines and documents. Some recruiters that I have been seeing that people are using are KorVia (who I used), Teach Away Inc, Footprints and that is all I remember because there were GOOD things said about them. There are sooo many recruiting agencies its up to you, the job seeker, to find a good one. STEP 2: Fill out the online application to get the ball rolling. Usually this entails a photo of yourself, resume and some basic questions about education and where you live. STEP 3: The 15 page application! Ahh this application covers questions from where you want to be in Korea to where you have lived the past 10 years. Any gaps in your application will “look suspicious” to the Koreans. This application also includes a 500 word essay about why you would make a good English teacher and what your philosophy is on education. Along with this application and essay two scanned original copies of letters of recommendation. STEP 4: Phone or Skype interview- About 45-60 minutes. This phone interview came after a long while from the date I submitted my application. Why do you want to go to ________? the province that you indicated. What will give you the most culture shock in South Korea? Is your family in support of you going? Do you know about squat toilets? How would you react if a teacher struck a child in front of you? What if you had a confrontation with your co-teacher? A lot of other that I don’t really remember it was such a blur but really long. After this…you wait. STEP 5: Wait. Wait. Wait. Wait. STEP 6: An official e-mail stating that you have a job or don’t have a job with a specific province! If needed, a form of recognition of getting your teaching license or TEFOL certificate. -Which you will bring with you to the orientation once you get a job. STEP 8: Wait wait wait wait wait wait! Send in a few more documents if needed and then…. STEP 9: NOA AND CONTRACT. Now, let me tell you, I started this process in December of 2009 and I got my contract and NOA in July. So depending on the time that you apply the process seems very drawn out. STEP 11: Buy a plane ticket! STEP 12: GO TO ORIENTATION!!! Great info on gett’n the EPIK job. We are starting a new magazine in April. We are looking for a few more articles. The magazine will be about how to do stuff and events. We would really like to publish your article.